I want to buy China doll red beans. Don’t know where to buy them. I’m looking for China doll red beans,I’m in Tacoma Washington. We don’t sell the China Doll Red Kidney Beans in the Tacoma area. Please click “where to buy” and click “order online” to buy all of our products. You can also call Max Reed @ 251-213-1171 to order over the phone. Thank you! Want to buy some china doll red kidney beans and can’t find them. Can they be ordered? Thank you for contacting us. You can order any of our products online at https://southerntraditionalfoods.com/. We hope this helps and we appreciate your business. 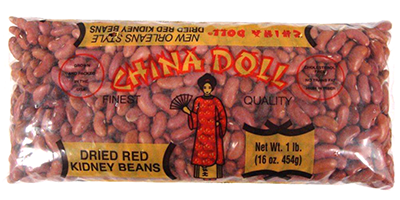 I’m trying to buy a case of China doll red kidney beans and just looking for a place to order them.